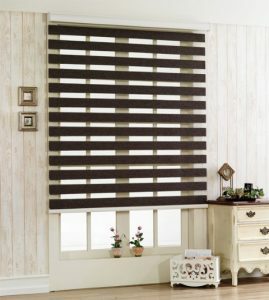 Korean blinds are popular for its lovely combination of colors and materials used. Also known as, Combi and Rainbow blinds, these stylish window covers can perfectly control the natural light. Once installed, these blinds made from double-layered thick polyester, allow subtle light to enter the room. The manual pulley system operates the blinds better, although the scope of customization is always there as per the buyer’s needs. The living hall is the right place to start the installation of the dual-shade Korean blinds. The curtains are hard to maintain being of heavy fabric. 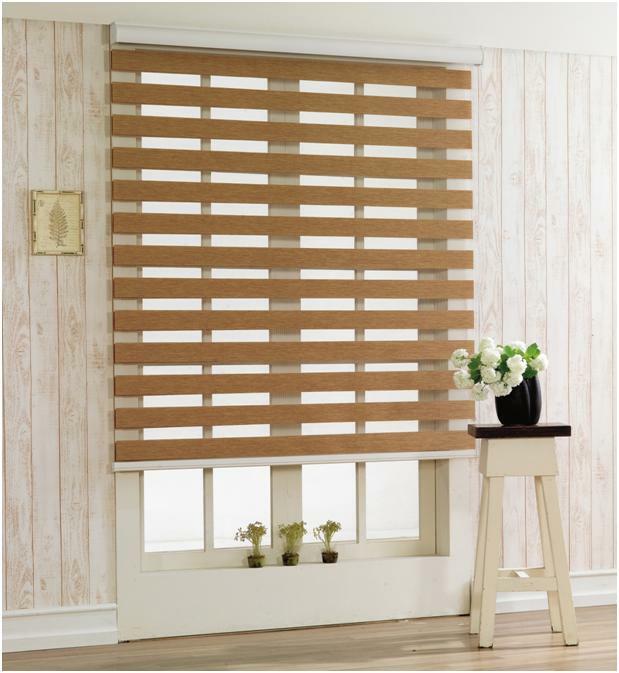 Korean blinds are made of 100% lightweight superior polyester with the moderate thickness. The blinds have a very subtle texture that is pleasing to the eyes. The whole house changes wonderfully when these blinds installed in each room. The blinds are made of sturdy and long-lasting polyester material. This material before used in the blinds undergoes three steps of UV treatment at the manufacturing point. This disallows warping caused by consistent exposure to the sun. For maintaining its shine, just clean it with a wet cloth. These blinds come in lovely colors, single, double-colored combos, and multi-colors as the customer demands. The multi-colored pattern designed like rainbow gives a feeling to the beholder of the effect of the rainbow outside the window. There are hundreds of patterns matching the interiors. Korean blinds like other blinds have different operational mechanisms to open and close the blinds. The manual function operation by twisting tilt-wand a little clockwise and anticlockwise opens and closes the blinds. There is a drawstring option also beside the motorized mechanism that operates by the remote. A special roller mechanism incorporated that makes dual blinds lifting operation easy. Korean blind or rainbow blinds as the name suggest can offer the liberty with colors and patterns. You can ask for a beautiful aura of colors to adorn your bedroom. You can ask for 3D design for the blinds, multiple combos, and numbers of styles in Korean blinds, which is not possible in any other kind of blinds. Besides the manual operative system, one can ask for motorized remote controlled version also. Incredibly, despite so many of its amazing styling and features, these blinds are affordable and suit all pockets. Although, the cost is immaterial in front of the aesthetic looks that it would provide to lift the house value. Korean Blinds, supported by our team of designers, supervisors, skilled workers, quality controllers, administrative, and management staff, help us to deliver. We offer perfect advice and work with the accuracy to complement the customers’ exact needs efficiently. 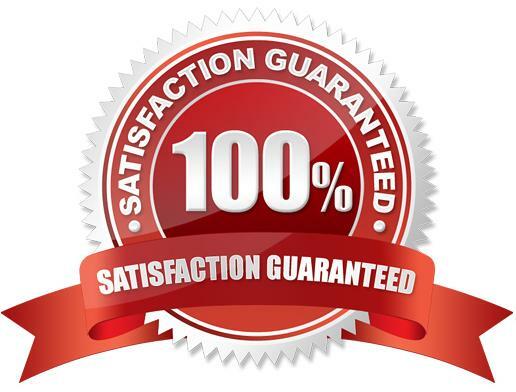 We care for the bulk demand as much as for a single piece order and deliver within the promised period. This is our business policy that we honor with all our resources. If you are looking for Korean blinds supply, just feel free to contact us, we are pleased to understand your needs and offer suggestions that would help you to order the perfect combos in blinds.